A programmable thermostat is a device that allows you to automatically adjust your house’s temperature depending upon the time of day. This can save you money, while also making it easier to cool and heat your house. These devices can also connect with your security system to be controlled remotely. A programmable thermostat is a special type of device that allows for automatic adjustments in temperature to be made in your home based upon the current time. These adjustments can be made based on both the time of day and the day of the week. For instance, you may adjust your programmable thermostat to automatically turn off the AC while you are work on the weekdays in order to save you money. Likewise, you might have your programmable thermostat set to lower the temperature in your house at 10PM when you go to bed so that you are able to get a better night of sleep. Programmable thermostats are very easy to use once they have been properly set up with your home’s heating and cooling system. They require very little maintenance, and almost no adjustments will need to be made once they have been configured to your liking. Simply install the thermostat, program it to your security panel, adjust its settings, and you are good to go. This convenience and overall ease of use makes programmable thermostats excellent for many users. Once you have your programmable thermostat configured, you’ll wonder how you ever lived without it before. In the past, a programmable thermostat would have to be controlled and operated from the device itself. But thanks to advances in home automation and communication technology, this is no longer the case. All of our programmable thermostats are able to connect with a security panel wirelessly using WIFI or Z-Wave communication. By doing this, you can control your programmable thermostat from your security system. This will give you a second point of access for your programmable thermostat inside your home. However, the capabilities do not end there. If your security system is connected to an interactive platform, such as Total Connect or Alarm.com, you will receive even greater control over your programmable thermostat. These services will allow you to access the settings for your thermostat using a web browser and your associated account. And by using the mobile app for your interactive service, you will be able to control your programmable thermostat from anywhere in the world. For example, if you want to make sure your house is cool when you arrive home early from work, you can simply access your programmable thermostat during your drive home and make the appropriate adjustment. Please note that you will need to have a monitoring plan that includes connectivity with an interactive platform to do this. 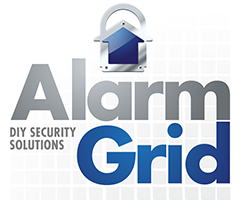 Alarm Grid offers programmable thermostats for any type of security panel that we support. And all of our programmable thermostats are able to connect with at least one type of remote interactive service. Once you have your new programmable thermostat, controlling the temperature inside your home will be easier and more convenient than ever before. Plus, if you ever need any help using your programmable thermostat, the Alarm Grid technical support team will be happy to assist you, as long as you have a monitoring plan with us. What is a Z-Wave Thermostat?